Branch: Various branches, including Podium, Sha Tin Town Hall, 1 Yuen Wo Road, Sha Tin, 2602-7368; Taikoo Cityplaza; Shop 255, 2/F, Cityplaza, 18 Taikoo Shing Road, Taikoo Shing, 2513-1996. 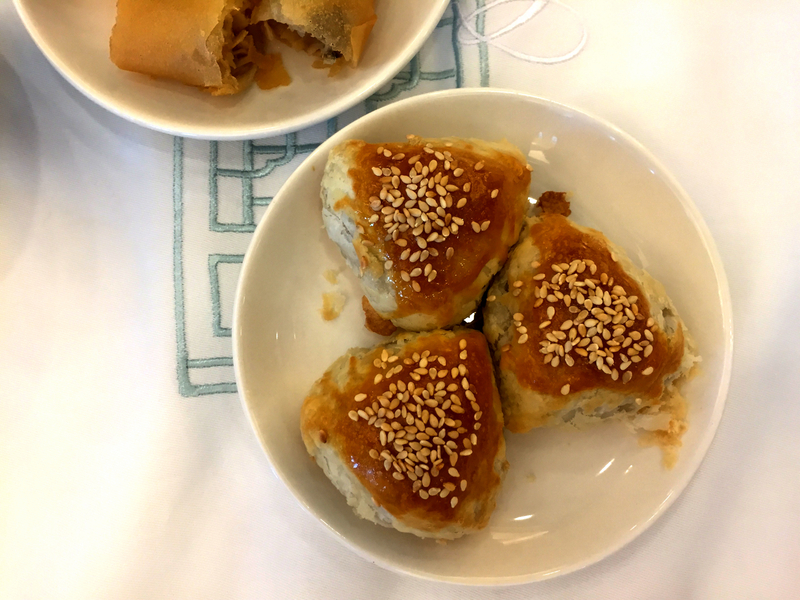 Old-School Dim Sum: Whether you’re entertaining visitors or dining with your expat friends, Maxim’s is a safe choice for decent dim sum — as long as you have time to queue. 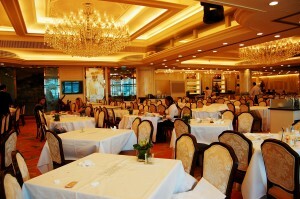 Look & Feel: Maxim’s is a traditional Cantonese restaurant in just about every way, with blindingly bright red decor, a massive banquet room, grand chandeliers, billowing drapes and gold accents. It’s not necessarily winning any style awards, but hey, let’s let them focus on the food. 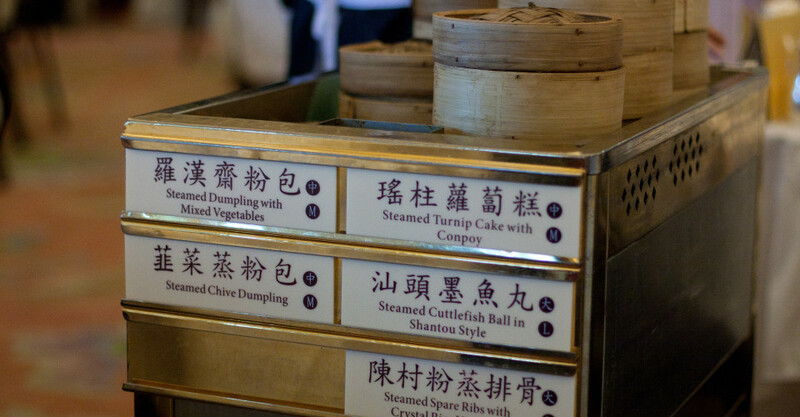 On the Menu: It’s obviously all about the classics here, with excellent siu mai, char siu bao, taro puffs, pork spare ribs in black bean sauce, ma lai go sponge cake, glutinous rice dumplings and egg tarts. There’s a reason you see elderly Hong Kong people gathering here right alongside all the tourists. Service: Be sugar-sweet to the dim sum trolley ladies here, because they have all the goodies. Once the baskets hit the table, it’s between you and the Lazy Susan to see who gets what. There’s an a la carte menu too but we are always too full from the steaming dim sum baskets to try it out. If you’re hoping to have some intimate conversations, this is not the place. It’s loud, rowdy, and packed all the time — except, we hear, over dinner — but that’s half the fun. Jeng: The char siu is some of the best we’ve had in Hong Kong, although the quality is inconsistent from visit to visit. Of course, it’s hard to argue with the old-school atmosphere, and who isn’t just little bit charmed by the trolley carts? Not so Jeng: You go to dim sum when you’re either a) craving a huge feast, b) really hungover or c) treating your dear granny. In none of these cases is waiting in line for 30 minutes to an hour ever cool. Ditto on waiting 30 minutes for your bill. Great For: Family dim sum, visiting friends, early morning dim sum. FYI: The place opens at 9am on Sundays but as long as you get there before 11am, then you should beat the line. This writeup was based on an independent tasting. The Loop doesn’t guarantee/sell restaurant review coverage. See our editorial policy here.